Chris Bruno, The Whole Message of the Bible in 16 Words. Wheaton, IL: Crossway, 2017. 160 pp. Today, my favorite publisher (Crossway) released a new book. 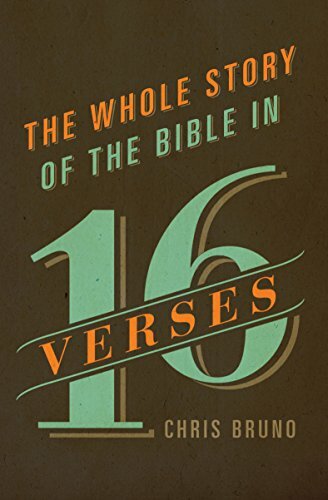 It’s The Whole Message of the Bible in 16 Words by Chris Bruno. He serves as the Director of Advancement at Trinity Christian School in Kailua, Hawaii. He is also the author of a book with a similar name. Two weeks ago, I posted my review of Marriage and the Mystery of the Gospel by Ray Ortlund. That book is an attempt to do biblical theology on the topic of marriage. Bruno’s task—and it’s a tall order—does this for 16 different themes, and all in one book! I found the chapters on “The End,” “Temple, and “Land” to be particularly insightful. Perhaps, though, as you glance at the table of contents, it’s possible you might have selected a few different words. Nevertheless, I feel about this selection the same way I feel about “chronological Bibles.” I love the idea of a chronological Bible, that is, a Bible arranged in the order of when events occurred. However, I would never want to be the one who decided what order to place some of the books. Sure, to a pastor who is familiar with things, a few choices are obvious. The book of Exodus comes before Ezra, and both of these come before Ephesians. But where do you place Joel within the Old Testament? And how do you arrange the gospel passages, especially when they are of parallel accounts? Not easy decisions. 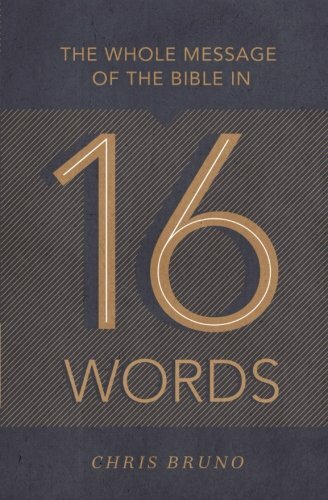 And now, coming back to which 16 words to choose, I love that this book exists, but I’m also glad I did not have to choose which words to use! But Chris did a really good job of it. This is a perfect book for those who are first beginning to grapple with theology and the overarching story of the Bible. As well, it would be helpful to those who have been around the Bible for a long time but perhaps have been overwhelmed by all the individual parts and thus have not grasped the coherence of the whole. Without being simplistic, the book is very accessible. When Bruno uses words like “eschatology” (the study of the end times) and “ex nihilo” (creation made “out of nothing”) and concepts such as “already-and-not-yet,” he makes sure they are always well-defined. He also uses many helpful illustrations to dive into the topics. And for the most part, the book is not specific to any one theological viewpoint. Rather, to use the words of C.S. Lewis, the book is “mere Christianity,” or “mere biblical theology,” in the best sense of the phrases. Again, The Whole Message of the Bible in 16 Words releases today. Love for you to pick it up here.